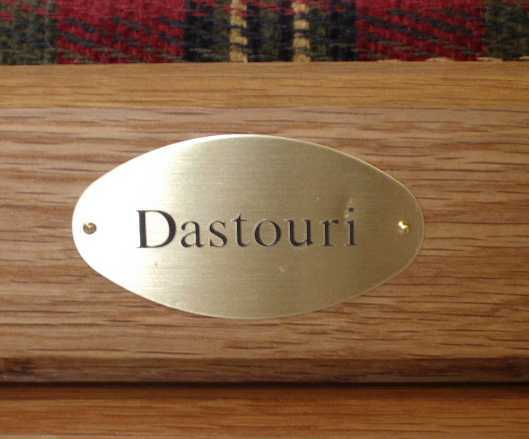 Engraved name plates to personalize your cedar chest or favorite project. Add that special touch that makes your hope chest truly personalized with an engraved brass name plate. The small oval nameplate can hold 3-4 lines of text. (3 or less looks best). Available in your choice of 8 fonts: See chart below. Plate measures 2 1/2" by 1 3/8 " and is attached with small nails and/or self adhesive. Need more space? The larger rectangular plate can have up to 5 lines. Measures 5" by 1 1/2" and is attached with small nails and/or self adhesive. To order engraved plates for your cedar chest or special projects, click on "Ordering information" above.